Dining table and coffee table are two such a component of home which if brightened up with some candles or lanterns, come out with some kind of dashing and sensational embellishment which everybody loves very much. 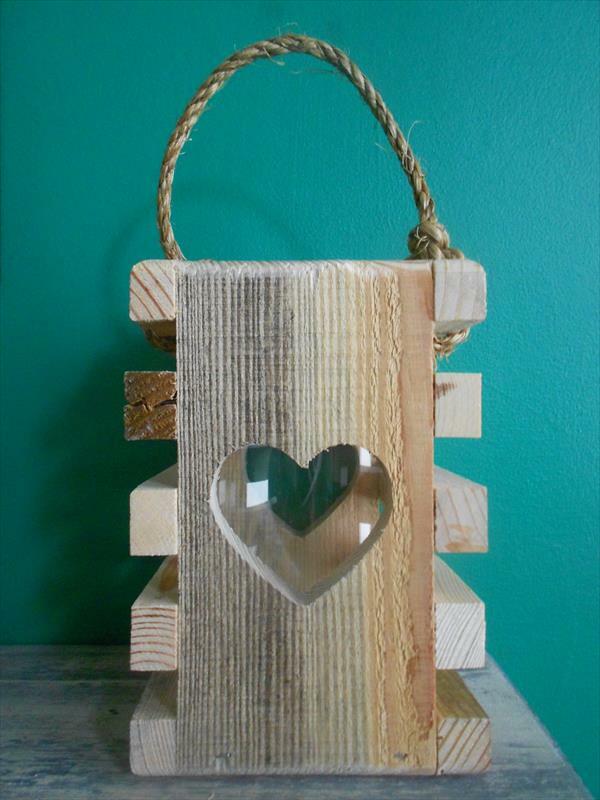 To make home and dining environment more eyeful and tasteful we have shape up an aesthetic DIY pallet heart lantern which has pure salvaged pallet composition. 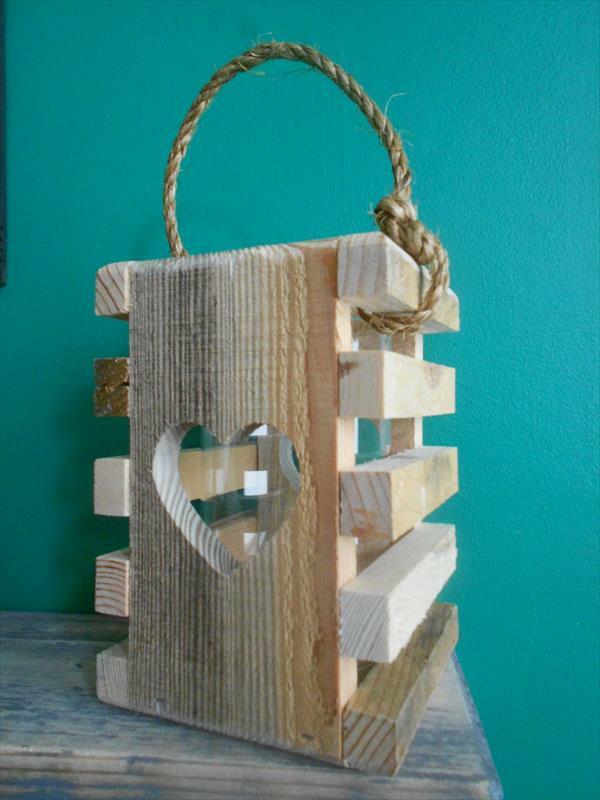 This would work great as a tea light on your wooden pallet coffee table top. 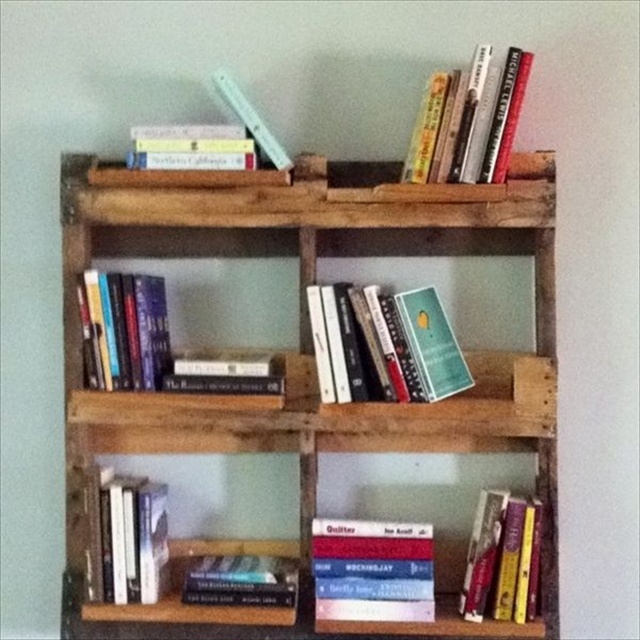 What we can say to it, just awesome piece of wooden pallet crafts wisely crafted through creative hand tweaks. Rope handles give it an enjoyable and much amusing functionality to carry it either at outdoor or indoor, it will work great for both types of environments. When you will enlighten it, the warm glow will make a nice light heart pattern on the wall and this would be lovely scene to look at. 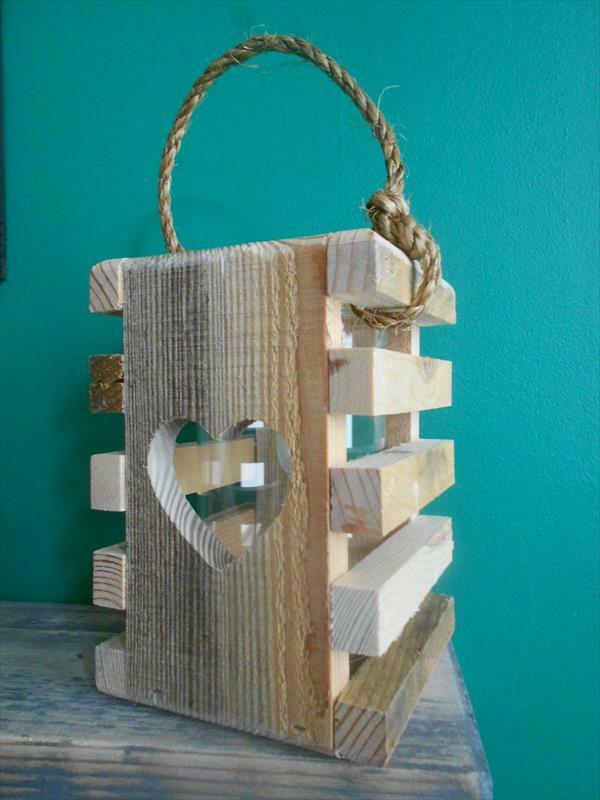 It contains the inner candle jar to be lightened and is much fast and quick in construction.